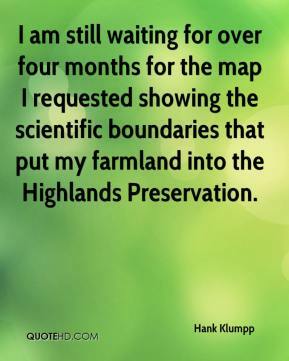 I am still waiting for over four months for the map I requested showing the scientific boundaries that put my farmland into the Highlands Preservation. 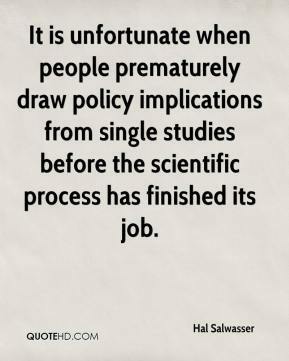 It is unfortunate when people prematurely draw policy implications from single studies before the scientific process has finished its job. 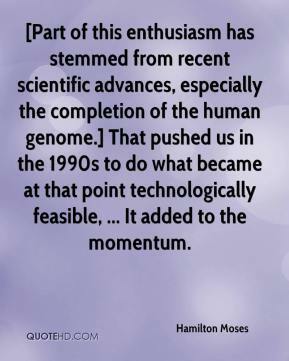 [Part of this enthusiasm has stemmed from recent scientific advances, especially the completion of the human genome.] That pushed us in the 1990s to do what became at that point technologically feasible, ... It added to the momentum. For decades now, the scientific and medical community have said that sexual orientation is an immutable trait, what some of us might call a gift from God. 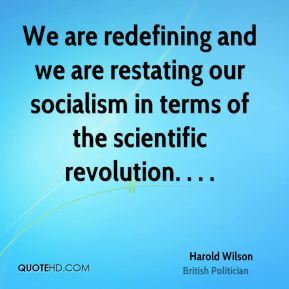 We are redefining and we are restating our socialism in terms of the scientific revolution. . . .
We have solid scientific evidence that screening through an organized program can reduce cancer deaths and, in some cases, even the incidence of certain cancers. 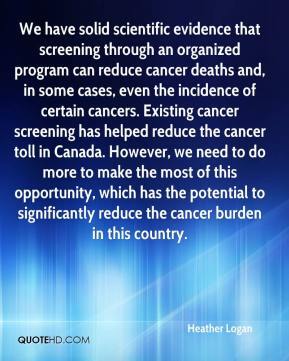 Existing cancer screening has helped reduce the cancer toll in Canada. However, we need to do more to make the most of this opportunity, which has the potential to significantly reduce the cancer burden in this country. 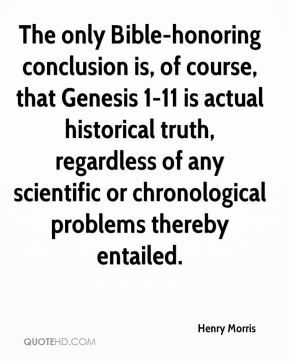 The only Bible-honoring conclusion is, of course, that Genesis 1-11 is actual historical truth, regardless of any scientific or chronological problems thereby entailed. 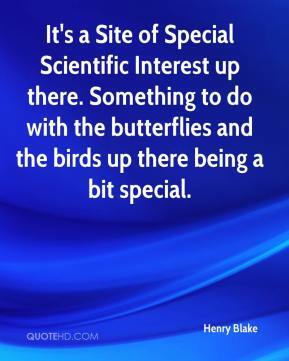 It's a Site of Special Scientific Interest up there. Something to do with the butterflies and the birds up there being a bit special. 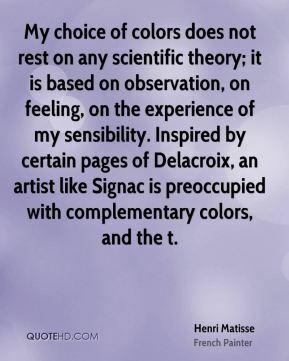 My choice of colors does not rest on any scientific theory; it is based on observation, on feeling, on the experience of my sensibility. Inspired by certain pages of Delacroix, an artist like Signac is preoccupied with complementary colors, and the t.
These questions used to be just the subjects of philosophy or metaphysics. 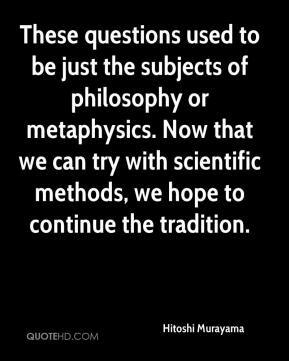 Now that we can try with scientific methods, we hope to continue the tradition. The length of exposure is a critical issue in these cases. 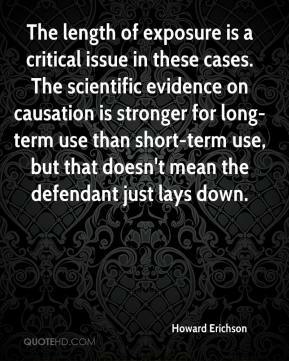 The scientific evidence on causation is stronger for long-term use than short-term use, but that doesn't mean the defendant just lays down. 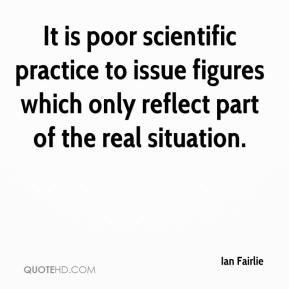 It is poor scientific practice to issue figures which only reflect part of the real situation. 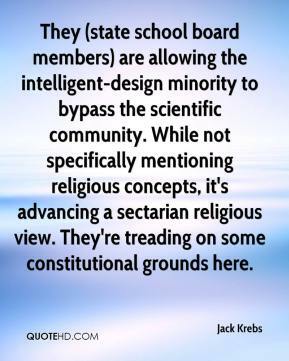 They (state school board members) are allowing the intelligent-design minority to bypass the scientific community. While not specifically mentioning religious concepts, it's advancing a sectarian religious view. They're treading on some constitutional grounds here. 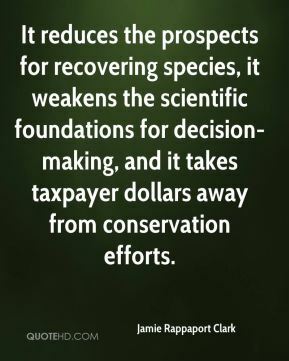 It reduces the prospects for recovering species, it weakens the scientific foundations for decision-making, and it takes taxpayer dollars away from conservation efforts. 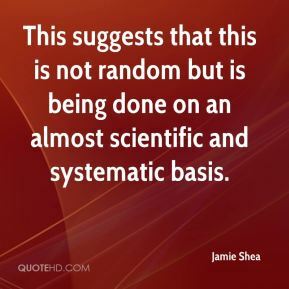 This suggests that this is not random but is being done on an almost scientific and systematic basis. 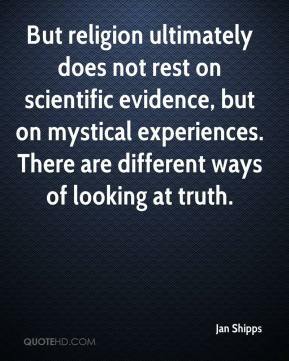 But religion ultimately does not rest on scientific evidence, but on mystical experiences. There are different ways of looking at truth. 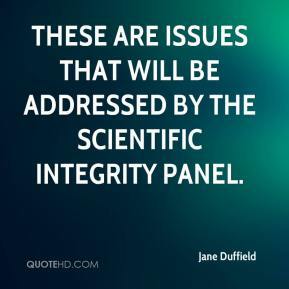 These are issues that will be addressed by the scientific integrity panel. 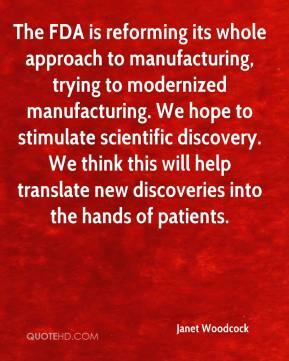 The FDA is reforming its whole approach to manufacturing, trying to modernized manufacturing. We hope to stimulate scientific discovery. We think this will help translate new discoveries into the hands of patients. We have mounting scientific proof that cleaning up the source of air pollution results in cleaner air and less illness and death. 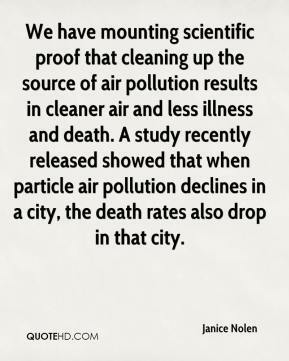 A study recently released showed that when particle air pollution declines in a city, the death rates also drop in that city. 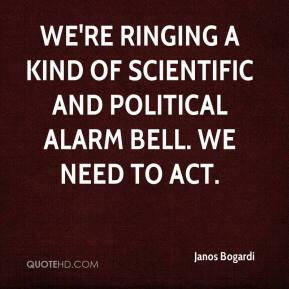 We're ringing a kind of scientific and political alarm bell. We need to act. 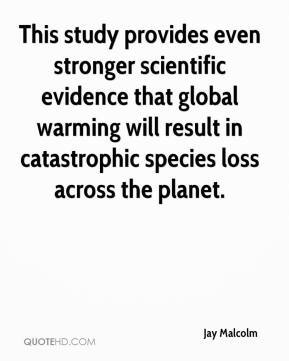 This study provides even stronger scientific evidence that global warming will result in catastrophic species loss across the planet. 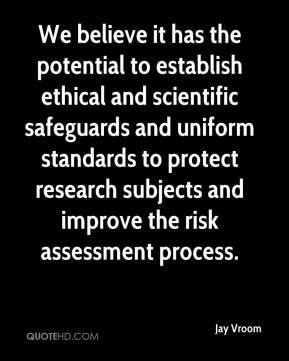 We believe it has the potential to establish ethical and scientific safeguards and uniform standards to protect research subjects and improve the risk assessment process. 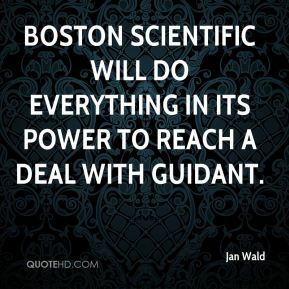 Boston Scientific will do everything in its power to reach a deal with Guidant. 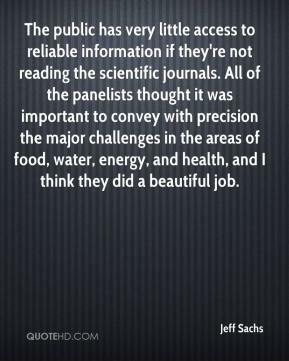 The public has very little access to reliable information if they're not reading the scientific journals. All of the panelists thought it was important to convey with precision the major challenges in the areas of food, water, energy, and health, and I think they did a beautiful job. 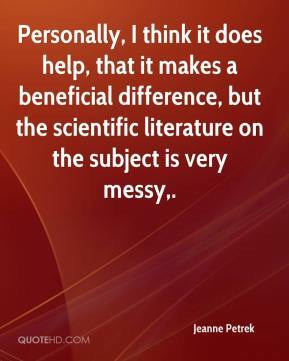 Personally, I think it does help, that it makes a beneficial difference, but the scientific literature on the subject is very messy.